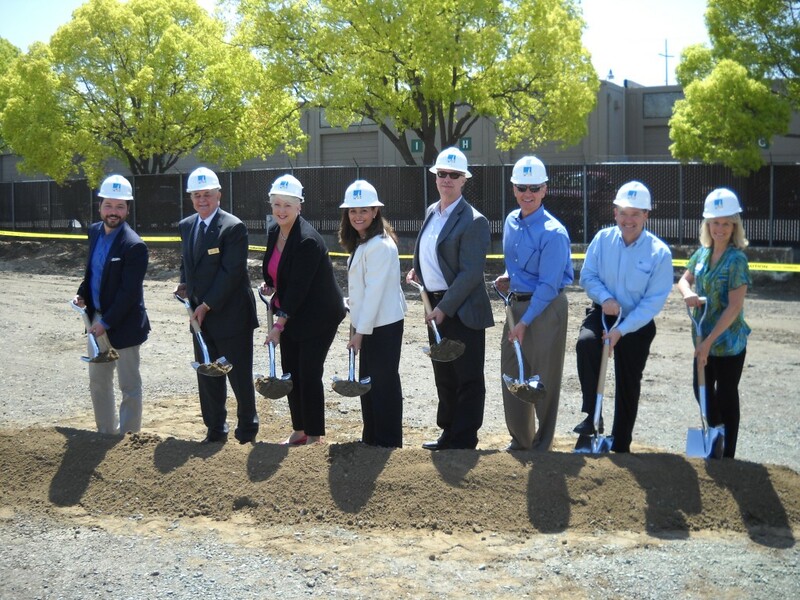 Pacific Gas and Electric Company (PG&E) broke ground on Friday, April 26, 2013 on a more than 37,000-square-foot electric distribution grid control center in Concord that will enhance electric reliability for PG&E customers. PG&E’s Executive Vice President of Electric Operations Geisha Williams was joined at today’s groundbreaking by Concord Mayor Dan Helix, as the new facility, scheduled to be completed in 2014, will provide an economic boost to the city. The new control center will incorporate smart grid technology to give operators more real-time visibility into the electric system. A new Distribution Management System (DMS) will incorporate data from Geographic Information Systems (GIS) and customers’ SmartMeters™ to help operators pinpoint the exact location of an outage. Supervisory Control and Data Acquisition (SCADA) equipment and automated “intelligent” switches that are being installed on electric circuits throughout PG&E’s service area will also help reroute the flow of electricity to minimize the number of customers affected by an outage. The new facility will also help PG&E’s disaster resiliency, as the building will be constructed to high seismic standards, with redundant data feeds as well as emergency back-up capabilities. In addition, the control center will have the flexibility to shift operations to other regional centers if support is needed in the event of a storm or natural disaster. The Concord facility is one of three new electric distribution grid control centers that will control PG&E’s more than 141,000 circuit mile electric distribution system—the system which delivers electricity to individual homes and businesses. In addition to the long-term benefits of having approximately 90 jobs located in Concord, 250 construction workers will work for one year building the new facility. Mayor Helix said this project has the potential to provide an economic boost to the region as these workers lodge in hotels and patronize local businesses during construction. PG&E continues to make significant progress in electric reliability that benefits customers throughout its service area. In 2012, PG&E customers experienced the fewest minutes without electricity in company history, and the number of service interruptions was the second lowest on record, just behind 2011. This progress was followed by our best reliability numbers ever in the first quarter of 2013. Pacific Gas and Electric Company, a subsidiary of PG&E Corporation (NYSE:PCG), is one of the largest combined natural gas and electric utilities in the United States. Based in San Francisco, with 20,000 employees, the company delivers some of the nation’s cleanest energy to 15 million people in northern and central California. For more information, visit www.pge.com/about/newsroom or www.pgecurrents.com. This entry was posted on Friday, April 26th, 2013 at 11:30 pm and is filed under News, Business. You can follow any responses to this entry through the RSS 2.0 feed. You can leave a response, or trackback from your own site.